So, in December I started my YouTube channel Meg Says - read all about why here - but since posting two videos that month, my health hit a rough patch and therefore my channel hit a standstill. Two factors are at fault for the lack of videos so far, let me explain! 2. Our internet gave up on life. Literally, just gave up. I won't say I'm angry, just disappointed. We live in a tiny village that has its own postbox and little else, so its not surprising that the internet connection has always been pretty pants and that's just one of those first world problems that we've put up with for years. Then came the beginning of my YouTube channel, and things took a turn for the worst - I had my videos filmed and edited, but whenever I tried to upload them it took about EIGHTEEN HOURS MINIMUM. Imagine me, sitting up all night with my laptop making sure the screen didn't go black - because that means automatic upload fail out in the sticks - for about fourteen hours, then having the upload fail anyway, usually at about 4am. Then picture the same thing happening multiple times a day for well over a week, and you might be able to understand my frustration and why I started swearing at my laptop like Kim Sears watching the Murray v Berdych match. But as they say, after the rain comes the rainbow and this week was much better. I haven't been feeling well enough to film anything else unfortunately, but we got BT Infinity installed and I can safely say that watching a video export and upload to YouTube within quarter of an hour honestly made me so, so happy. With any luck ME will give me a break sometime soon and I can begin uploading regularly - wishful thinking, but I'm ever the optimist! 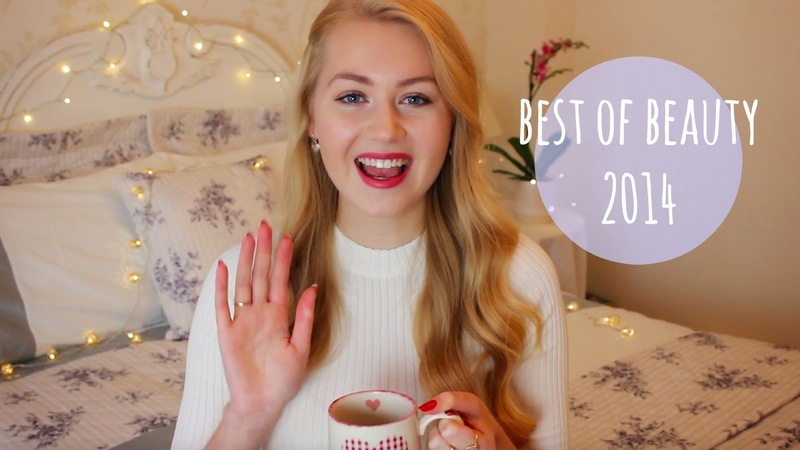 ...and CLICK HERE to see 'Part Two' - I chat about the best skincare and haircare (etc) of the last year, get all sassy by throwing Chanel and attempt an Australian accent! So, there we have it - I'm back on YouTube! With a 2014 Favourites video in February, granted, but filming with ME is extremely difficult and I'm just going to have to take things slowly. Thank you for all of the support so far, it means the world to me! What type of videos do you watch on YouTube? Do you have any favourite channels? I simply wanted to say how well you are doing sweet, your quality and content for your YouTube is on point to say you started recently. I am so glad to see your face again, keep going lovely, work it work it! I just checked out your Youtube channel for the first time, in love !